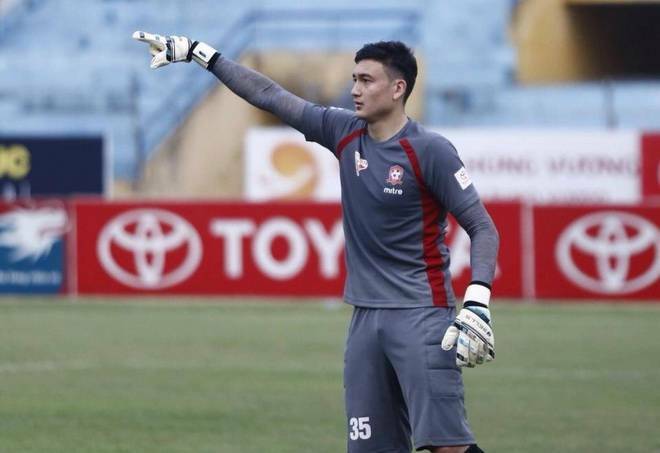 After Hai Phong’s recent 2-0 defeat against Binh Duong, Dang Van Lam, Hai Phong’s 24-year-old Moscow-born Vietnamese goalkeeper was reportedly enjoying a drink in a private room with some Hai Phong officials when former Vietnam national team striker and current Hai Phong coach, Le Sy Manh entered the room with his brother, who according to sources was carrying a knife, and challenged Văn Lâm on his recent attitude and behaviour. Dang Van Lam, concerned for his safety, quickly stood up and ran out of the room, eventually slipping on some wet concrete and injuring his ankle, later being treated at a hospital. Sources at Hai Phong FC noted that since Dang Van Lam returned from making his debut for the Vietnam national team, his fellow teammates reported that his attitude had changed significantly. “Now, he is so patronizing to teammates, nothing that happens with him surprises me”, a fellow player was reported as saying. 24-year-old Dang Van Lam was born in Moscow to a Russian mother and Vietnamese father. At the age of 8, he joined Russian giants Spartak Moscow. However, after failing to reach the senior team, Dang Van Lam returned to Vietnam to sign for Hoang Anh Gai Lai and was soon called up to the Vietnam U19 national team. After struggling to tie down a first-team spot in Pleiku, the 1.88m goalkeeper signed for V.League powerhouse Hai Phong FC. In June 2017, Dang Van Lam made his debut for the senior Vietnam national team in a 0-0 draw with Jordan. Since the incident, Văn Lâm he released a statement denying that he has returned to Russia. “I’ve seen reports that I was heading back to Russia, but this is not true. Regarding the incident, I have nothing to say at the moment. I have also not said that I would not continue to play in the V.League – I am simply focused on recovering from my injury – I want to recover from this trauma before thinking about the future,” the goalkeeper told local newspapers. On Tuesday, Le Sy Manh took to Facebook to apologize to club officials and fans for the incident. “I would like to apologize for what happened, to the club leaders and fans – please take care to take information from truthful sources”. “I would like to apologize for what happened, to the club leaders and fans – please take care to take information from truthful sources,” the former Vietnam national team striker said. According to local media, Hai Phong FC have terminated Le Sy Manh’s contract with the club. Hai Phong FC officials were contacted for comment but have yet to respond.